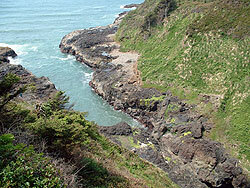 Yachats is one of the most spectacular areas of the Oregon Coast. Arthur Frommer, founder of Frommer’s Travel Guides, listed Yachats number seven among his ten favorite vacation destinations in the world. Here is a link to an article on this subject. The Oregon Coast offers many natural settings for your dream wedding that are open to the public or charge a minimum fee. It is an ideal location for memorable simple weddings that include small groups of friends and/or family. 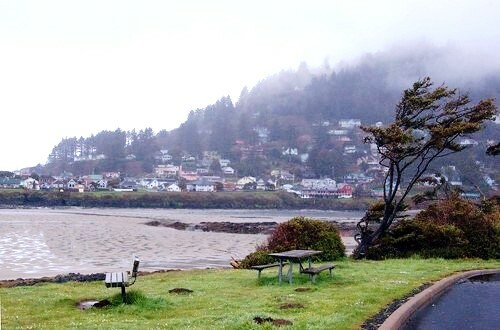 Several Yachats area motels have ocean lawns and views with accommodations for larger events. Below are several ideas for scenic outdoor ceremonies. Indoor or sheltered ideas are also available. Just check with Katrina. 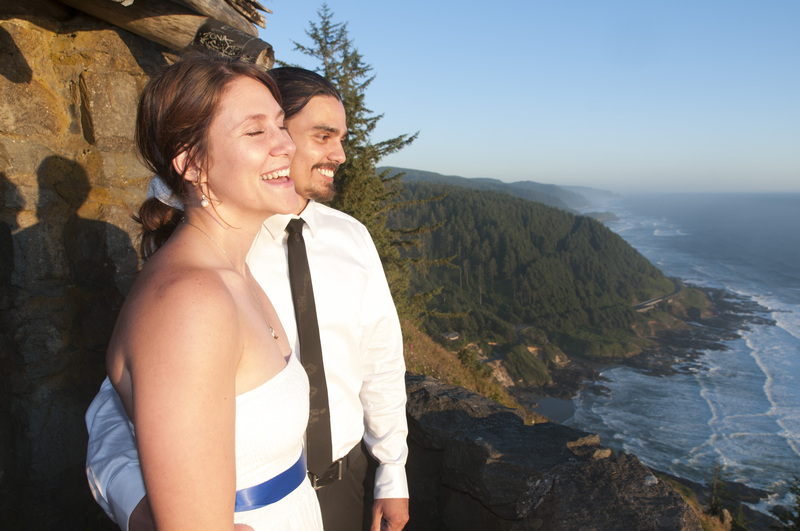 Cape Perpetua, the highest sea cliff in Oregon, provides a dramatic vista for your special event. 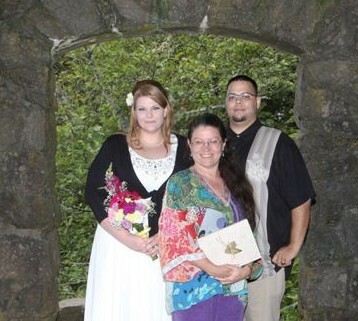 Ceremony inside the Cape Perpetua lookout shelter. 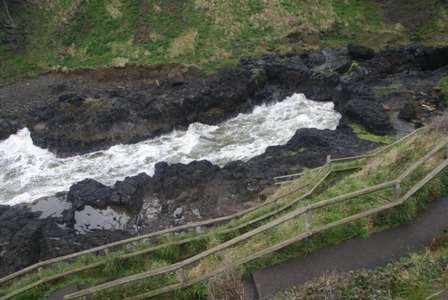 down the cliff, the Devil’s Churn is a unique coastal location. 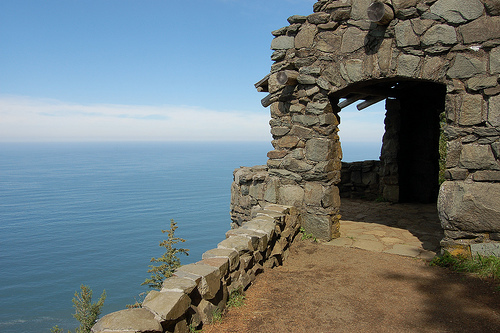 … including this sweet arch on the coast trail…. … and this peaceful park. Park on Yachats Ocean Rd. 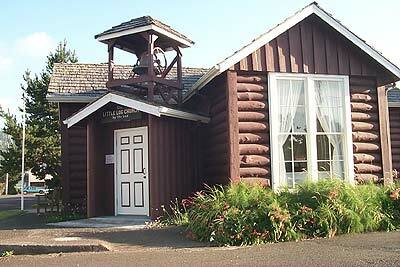 The Little Log Church in Yachats is a one-of-a-kind venue for an intimate ceremony. 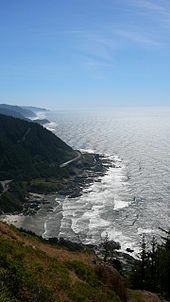 For a panoramic view of Yachats and many of these locations, please visit GoYachats.com. © 2007-2018 Katrina Wynne, all rights reserved. Nothing herein may be copied, reprinted, reproduced, or retransmitted in any media format without express written permission of the author. Congratulations on your wedding plans. I would love to consult with you about your location and other details. Please feel free to email me or call me: (541) 547-5123.